For this top I wanted a narrower sleeve, but not too narrow. I don't really care for narrow sleeves myself. 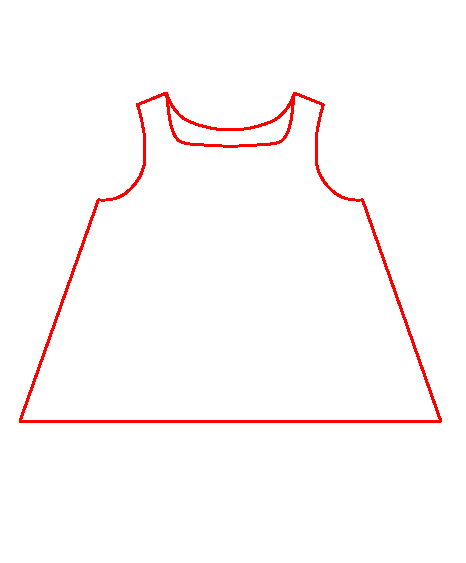 I have a really wide back (always had, no matter what size I was) and I need that additional room in the sleeves. Otherwise tops are always tight around my upper back if I move my arms and I absolutely hate that. So, not so tight, but narrower than the Rossa shirt. 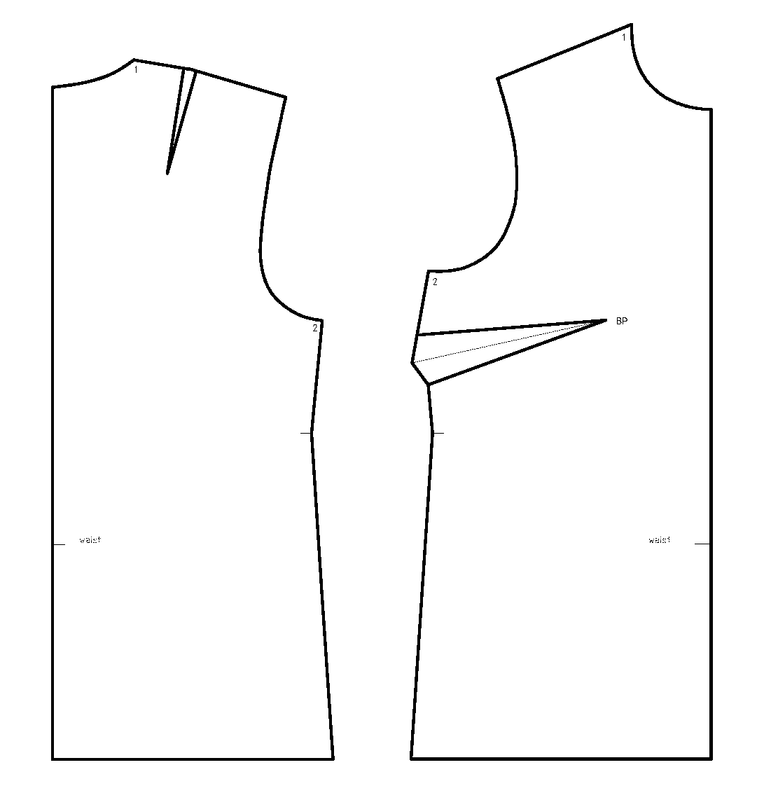 So, I used the same method to draft the sleeve as for Rossa shirt, except that I used a higher sleeve cap (see picture above -> sleeve cap is 2/3 of AB; Rossa shirt sleeve had 1/2 AB) and I drew the sleeve closer to the bodice - this might be clearer from the picture below (this is the back). 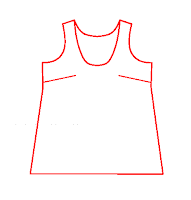 Repeat for the front, same as the Rossa shirt, with modifications as for the back. This is what the sleeve looked like after the first draft. I thought that the front lookes a bit too low, so I adjusted the curve a bit. This is the final pattern for the sleeve. I was feeling confident about the bodice part of the pattern, so I cut it out from the fabric I chose for this tunic, not the muslin. I figured I might have to take it in a bit, but it shouldn't be too tight. And I was right. It was too wide, so I took it in a bit and shaped it a little more at the waist. I was a bit worried about the sleeve though. It looked a bit weird, the pattern. But look here, it fit just perfect!